Goodreads appetizer: Still reeling from her mother’s death, news anchor Jane Caldwell’s life is upended further when she learns the father she lost twenty years ago is still alive. Her mother’s will unleashes a manhunt—the Caldwell sisters must find their father, or their mother’s estate will not be settled, and their questions about his disappearance will remain unanswered. 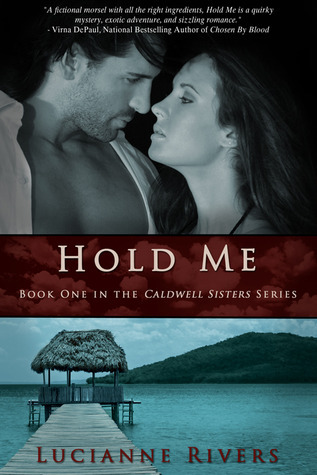 My Thoughts: Hold Me is the first novella in Lucianne Rivers' new trilogy about the Caldwell sisters: Jane, Margo and Alison, who after the death of their mother learn that the father they believed dead for more than twenty years is alive and their mother left part of the estate to him. So thye embark on a mission to find him, each book tells the story of a sister following a lead and investigating the whereabouts of their father. Hold Me is Jane's story who flies off to Guatemala as the private investigator found a man who could be her father living in the Guatemalan jungle. You will soon discover the irony and humour of prim and proper Jane, local celebrity news anchor going off to investigate a tropical jungle in her elegant sleek suits and pumps. Harrison was handsome when serious, and devastating when happy. speaking in fluent Spanish and knowing the lay of the land she grabs onto him for assistance and help. Despite Harrison's initial icy distance sparks fly between these two right from the start and he can't resist the hot temptation that is Jane. "I could be forming an addiction to you, Jane Caldwell,” he said in a sultry tone. “You’re definitely hazardous to my state of mind." "You make me want things I shouldn’t." "The Little Drummer Boy" tapped away in her blood, on steroids. 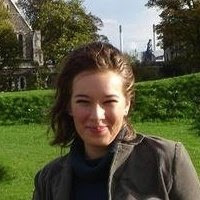 Lucianne Rivers manages to portray the setting so vividly that I could easily picture the lush jungle, the suffocating damp heat and even hear the buzz of mosquitos! My only problem is that I get that since it's a novella there is a serious time and length constraint, but the conclusion of the romantic storyline was too fast for me (the hero realizing he is in love with the heroine after only 2 days is one of my pet peeves... ). Verdict: Even despite this slight mishap Hold Me is a very quick and highly enjoyable read. It captures the atmosphere of the story's location wonderfully and both Jane and Harrison are strong, realistic and well fleshed out characters whose developing relationship I enjoyed reading about. The ending was perfect: emotional and heartwarming, and I loved how it tied the story to the novella's title. Hold Me was great and I can't wait to read the other two sisters' stories! Cover: 9/10 - fantastic cover! that photo of the lake is beautiful and I love the colouring!